1. significant temperature resistance; operating temperature 260 C, but safe space to cope with outages and accidents. 2. good chemical resistance; the filtration value of P84 filter bag for acid waste dust has been confirmed in the waste incineration operations of the past decade. 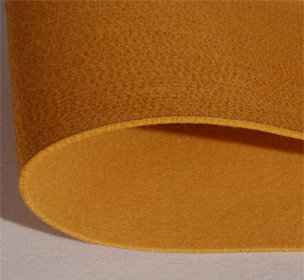 3. low pressure and high elastic reverse wash off mud cake efficiency; P84 fiber properties due to the fineness of itself significantly, because of irregular fiber to fiber cross-sectional surface area increased to a maximum and provide many tiny pores and surface filtering effect is better than depth filtration. Only stay in the dust filter mat surface can not wear a filter medium, so the inverse washing pressure small and filter cake play off to improve efficiency, has the extremely fine powder collecting efficiency and the working pressure difference is small. 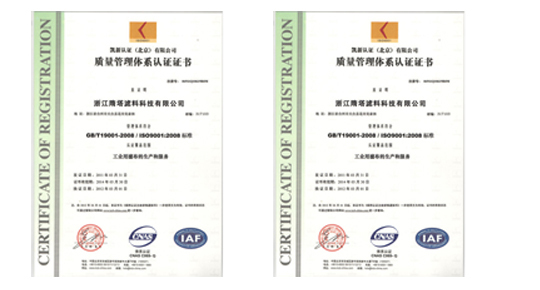 Application: P84 filter material has been used in plaster plant, cement plant, waste incinerator, liquid fluidized bed boiler, coal fired boiler and other working conditions.